Bolton Wanderers striker Michael O'Halloran has ended his loan spell at Carlisle United after one appearance for the League One club. O'Halloran, 21, joined the Cumbrians on transfer deadline day but failed to work his way into Greg Abbott's plans. "He told me that he felt that he wanted to get back down to Bolton to carry on his work down there," Abbott told the club website. "He wanted more in the way of pitch time that we couldn't guarantee him." Abbott added: "I spoke to Owen Coyle and he has been fantastic about the situation, so Michael leaves here with our very best wishes." 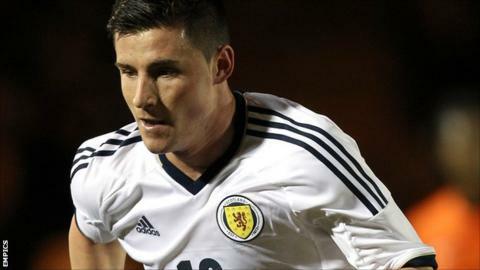 The Scotland Under-21 international spent part of last season at Sheffield United, and was an extra-time substitute in the League One play-off final penalty shoot out defeat by Huddersfield.